I created this list to reflect the level of true Masters level climbing worldwide. In every other sport that I am aware of, Masters designation begins at 40, not at 35 as 8a places it. It is interesting to note the absence of any Americans in the routes list and the presence of three in the bouldering list. There are a number of possible reasons for this but I find it a striking indicator of the popularity of V10 up bouldering among older climbers in the US. The top redpoint level in climbing routes is approximately 8c while in bouldering, 8a+ is pretty much the maximum grade. I will update this list periodically, checking scorecards for anomalies or other curiosities. Let me know what you think of this. Not that it's terribly relevant, but the masters division in Ultimate starts at 35. Meaning Frisbee? I am sure there will be variable views of the age breakdown but in running which I think is comparable with climbing in terms of how long you can do it, as opposed to men's or women's gymnastics, 40 is the standard across the world. I am usually not one to comment on this stuff, but this one bugged me pretty badly. Seems pretty absurd to me Peter to claim that this list reflects the "true level of masters climbing worldwide," as most climbers over 40 have better things to do than have participate in 8a.nu. 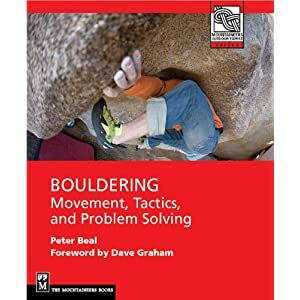 I could name a dozen climbers in Salt Lake alone over 40 that would be ranked above the 1# person on the bouldering list, and know many climbers worldwide (marc lemenestrel, stephan glowacz, ben moon, etc.) that would be way up on both lists. face the fact that 8a is simply a self indulgent meaningless ranking before making broad statements based on empirical data taken from the 8a site. Go ahead and name the climbers in SLC as I am sure you are right. I would like to know of more serious 40+ climbers. The names Le Menestrel, etc. that you cite are not necessarily that active anymore. And I am not sure that the climbers I have listed from 8a.nu would describe their activities as self-indulgent or meaningless. I also would bet that they closely reflect the average standard for top-level 40+ climbers. i can't wait til i'm 40 as there will be some sort of reckoning. I esteem Jeff highly as the FFAist of Lungfish at Rifle, though that was BITD. What's he up to now? I see Webb at random up LCC bouldering. Usually he is doing laps on high 8's with nothing more than his old school crash pad. You know, the type that are an inch thick and probably two foot square. Funny to watch him walk up in front of a group of Vstrong teenagers, have them give him beta, then climb it his way (which is usually harder), come down and do it their way, pick up his "pad" and leave. They all say the same thing, "Who the hell was that?". Classic. As admirable as sandbagging the youth on V8 is,and there are versions of this at Flagstaff as well, it is not the same as doing V11 and up on a consistent basis. I find trying to climb at that level incredibly frsutrating. Actually finding the time to train and get on anything hard outside is super difficult.